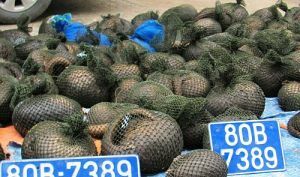 The car chase that ensued on a major road in Vietnam led to an unexpected discovery: a load of 118 critically endangered pangolins weighing 556kg. Local police in the province of Ha Tinh knew something was amiss when the driver of a minivan refused to stop for a routine inspection at a traffic police checkpoint. Instead, the driver barreled through it, damaging two police vehicles. The officers gave chase and shot the tires of the car. Two wildlife traffickers escaped from the van, but the driver was apprehended. That’s when officers, while inspecting the vehicle, discovered 118 critically endangered pangolins wrapped up tightly in bags and piled on top of each other. The animals had had no access to food or water, but 113 of them had managed to survive and are now being looked after by staffers of the conservationist group Save Vietnam’s Wildlife, who will release them back into the wild. This time the animals were lucky. Many of them were still alive when they were accidentally discovered by law enforcement officials. Only recently, a large haul of pangolin scales, weighing 357kg, was discovered at a Vietnamese airport, in yet another case of rampant wildlife trafficking that has been driving all eight subspecies of pangolins ever closer to the verge of extinction across the wild in Africa and Asia. In just one decade, some 1 million pangolins have been poached and sold for their meat and scales with a shocking 100,000 of them done so every single year. Vietnam has served as a major transit hub for the illegal trade in the animals. Over the past decade authorities in Vietnam have seized 54.8 tons of pangolins and 14.7 tons of scales. Meanwhile, populations of Sunda pangolins, which also inhabit some of Malaysia’s forests, have plummeted by around 80% in recent years. Pangolins, the world’s “most trafficked mammals,” are highly sought as ingredients in Chinese medicine and as meat in exotic dishes across much of Southeast Asia. 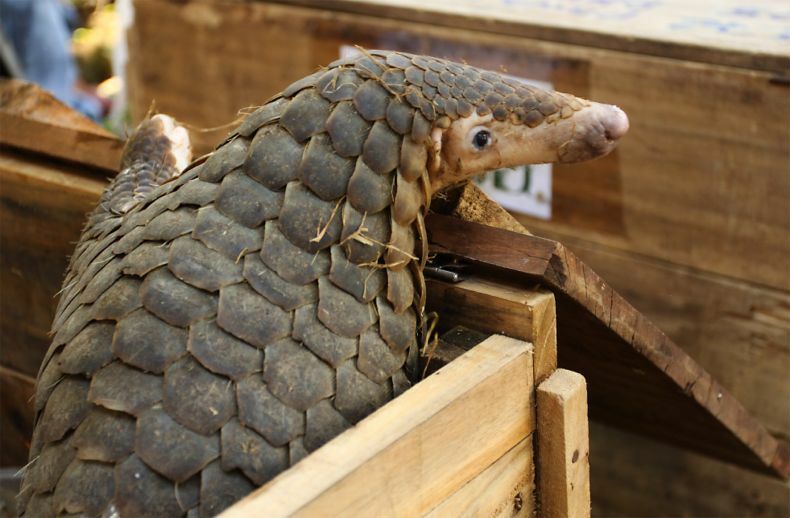 Recently the Convention on International Trade in Endangered Species (CITES) has voted to issue a total ban on the sale of all eight pangolin subspecies from Asia to Africa. We must all must remain vigilant and step up the war on poaching and trafficking everywhere. Please help these innocent creatures.